Finley ranks fifth nationally in passing yards (315.8), and 10th in completion percentage (.679) - leading the ACC in both categories. Harmon finished with over 1,000 yards receiving for the second straight season, and he leads the ACC and ranks 12th nationally with 98.8 yards per game. The Pack's O-Line, the Band of Brothers, has a pair of first-team selections in Bradbury (a Rimington finalist) and Jones. 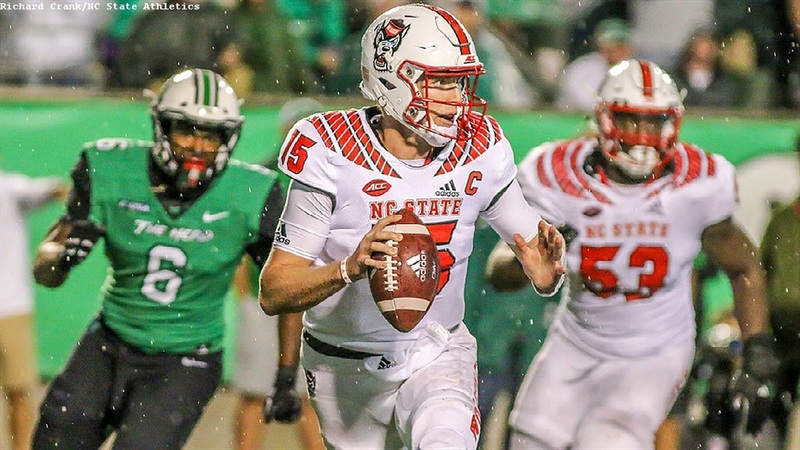 NC State leads the ACC and ranks third nationally giving up only nine sacks in 2018. The Wolfpack offensive line has paved the way for three straight 1,000-yard rushers, only the second time in school history (1976-78).